The exterior was really just one of our stages. 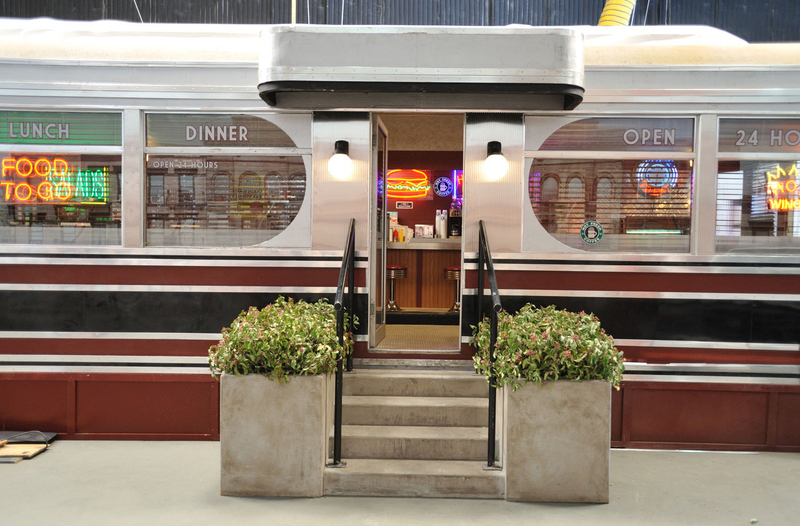 Except when we put the whole diner on a flatbed truck and hauled it to downtown Los Angeles for scenes under the bridge. Then we later optically matted in the city of Washington DC in the background thanks to our very talented post-production team.